The ESA supports a Subject Matter Expert (SME) and Liaison to the U.S. Environmental Protection Agency (US-EPA) Office of Pesticide Programs (OPP). The SME represents the breadth of ESA’s membership to EPA-OPP and provides critical input on topics such as the clarity of labels, guidelines for efficacy testing of pesticides on various arthropods, utility of label mitigations, spray drift, invasive arthropod species, insecticide resistance, and the role of insecticides in integrated pest management. He/she also maintains a network of entomological peers to consult on subject areas beyond those of the his expertise to provide a breadth of experience. Additionally, the SME sits on the ESA Science Policy Committee. To read more about the duties of the SME, please refer to the archived position description. 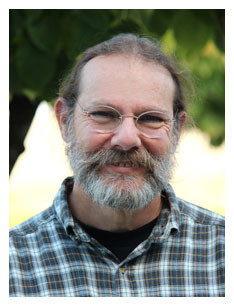 Dr. Allan Felsot, Professor and Extension Specialist in Entomology and Environmental Toxicology (Washington State University) is the current SME. He was appointed to a second term by the ESA Governing Board in 2018 and will continue to serve through the November 2022. ESA Annual Meeting. Prior to his service, the SME position was held by Dr. Mark Whalon (Michigan State University) from January 2013 through December 2015; and Dr. Gene Reagan (Louisiana State University) from July 2010 through June 2012.